Air conditioners come in a range of sizes, designed to cool different volumes of air. The rating of an air conditioner is measured in BTUs, and you need to know how many BTUs will be required to cool your room. 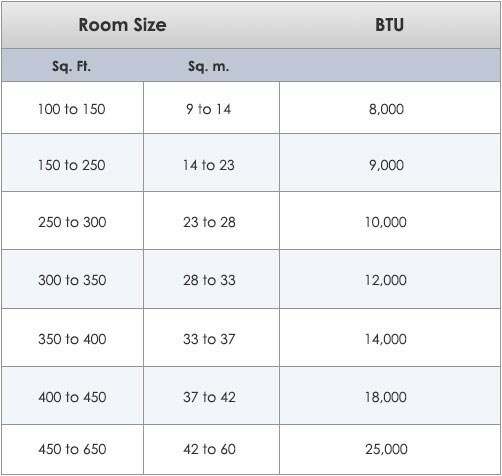 Below is a chart which will tell you the BTUs required for different sizes of rooms. Simply work out how big your room is (measure the length of your room and multiply it by the width) and then you will know roughly how many BTUs your air conditioner requires.